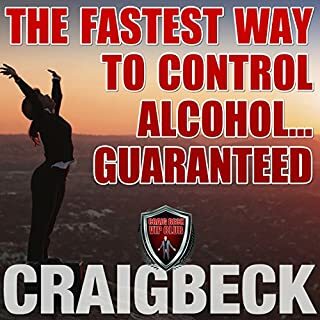 Would you consider the audio edition of The Fastest Way to Control Alcohol... Guaranteed to be better than the print version? The book has some helpful information. Audio is better than print. The audio version is more motivational to have some one explain things to you in their own voice in regards to their own experience. What other book might you compare The Fastest Way to Control Alcohol... Guaranteed to and why? Not sure, first book on this topic that I've read so far. Speaks from his own experiences. His delivery of the material is helpful and motivational, you feel like you are really ready to make a change after listening to some of it each day. The book puts you in the frame of mind that you can do something about drinking. What insight do you think you’ll apply from The Fastest Way to Control Alcohol... Guaranteed? The information about the vitamin suppliments to take and help during the time you are stopping drinking. His information about alcohol being a poison and having you look at alcohol differently than what the producers and advertisers put in your head. He is very pro stop drinking, very encouraging and you feel like he's backing you up on your journey.